ST. PATRICK DAY SPECIAL - $19,995! LUXURIOUS, GAS SAVING V6 ACADIA WITH ALL THE OPTIONS. LEATHER TWO-TONE INTERIOR WITH ELEGANT WOODGRAIN TRIM. MEMORY SEATS. TWO SUNROOFS WITH SUNSCREENS. 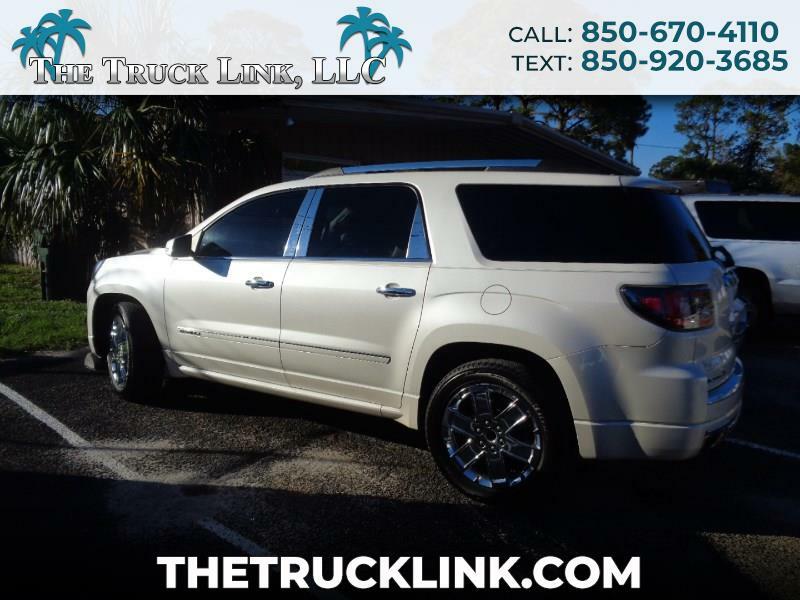 NAVIGATION, ONSTAR, SATELLITE, AM/FM, CD, HANDSFREE, BACKUP CAMERA. BOSE PREMIUM 10 SPEAKER AUDIO SYSTEM WITH SUBWOOFER. TRI-ZONE CLIMATE CONTROL AND HEATED/COOLED SEATS. LIKE NEW! STOP IN FOR A TEST DRIVE TODAY BEFORE IT'S GONE. 0-DOWN, $399/MO. FINANCING AVAILABLE (W-A-C) THROUGH OUR FRIENDLY, RELIABLE NEIGHBORHOOD LENDERS. CLEAN CARFAX AND 30 DAY WARRANTY. ALL REASONABLE OFFERS CONSIDERED.